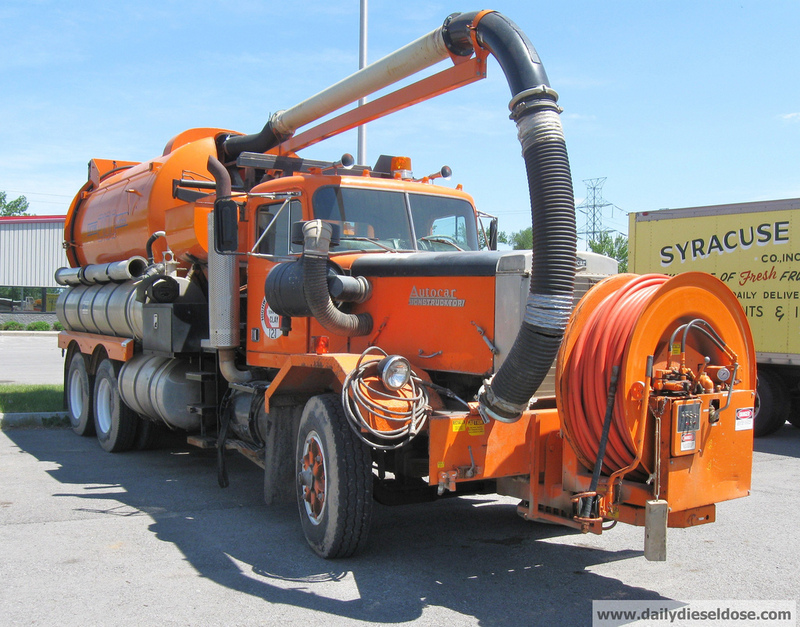 Below is a Autocar Construcktor VAC truck that once belonged to the Town of Clay, NY. According to the date stamp on the photos I spotted this truck at Tracey Road Equipment back in May of 2010. At that time I believe the truck was still in active service with the town. Over the next three years the truck would show up on Tracey’s lot eventually earning a spot in the used truck row. I don’t remember the exact specifics but it was listed a 1979 model with an asking price of nearly 30,000 dollars. I guess vac trucks hold their value. 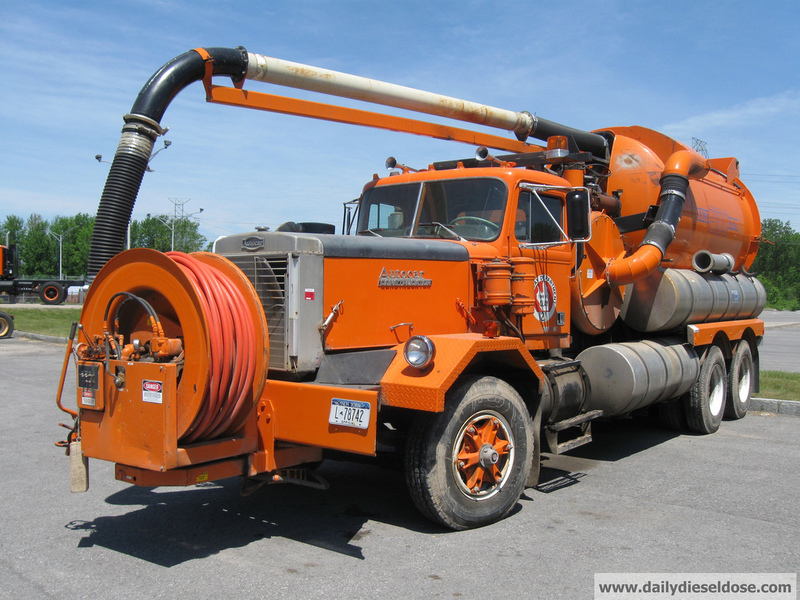 Back in the early fall I spotted this truck working on a trenching job at a local shopping center. I figured the Construcktor finally found a good home and it warmed my heart. It was nice start to the holiday season. A short time later it returned to the lot a Tracey but is no longer listed for sale. One can only speculate at its future. 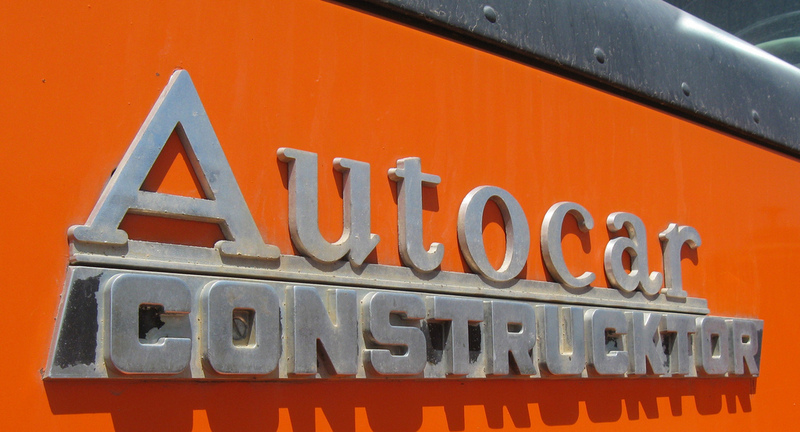 This entry was posted in Autocar Trucks and tagged autocar construcktor. Bookmark the permalink. Great pictures Eric. I don’t remember this one at all and I have a lot of pictures of Clay’s equipment, granted much of it from auctions of years past. They recently auctioned their 1978 Autocar Construcktor dump this past summer.